Fethi Mansouri and Zuleyha Keskin (Eds. ), Palgrave Macmillan, 2019, 232 pages. Religious ideology and political motivations play a central role in the rhetoric of Islamist and jihadist groups. When studying Islamists’ violence, this raises several questions. 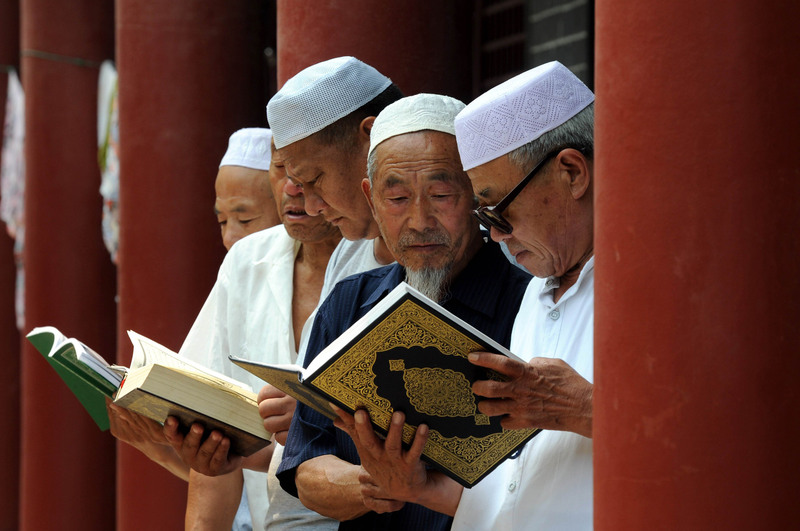 Is Islam innately violent and incompatible with the modern world? Do radical ideas lead necessarily to radicalization and violence? What causes violent and hateful interpretations of Islam to be embraced by groups such as the Islamic State (ISIS) and Al-Qaeda? Is cognitive radicalization a precursor for violent radicalization? Scholars don’t seem to agree on such issues. Terrorism is not exclusive to Muslims, Islam, or Islamist ideologies. It has existed throughout history amongst all religions and in all regions. And Al-Qaeda was hardly the first terrorist organization to emerge. Despite the multiple theories about the radicalization process, scholars agree that there is no linear path between the adoption of extremist ideas and terrorism. While radical ideologies and beliefs are, in most instances, necessary prerequisites for extremism and violent radicalization, they are not sufficient on their own. Cognitive radicalization is not a useful predictor of behavioural radicalization. Framing the debate around Islamic theology’s role in violent extremism, Mansouri and Keskin offer a great analysis and counter-narrative to the religious and scriptural warrants put forward by the Salafi-jihadists and other violent Islamists for their conduct. The volume is composed of three separate parts. The first part, “Contesting the Theological Foundations of Violent Extremism,” covers the theological causes and triggers of radicalisation and refutes the distorted Islamic interpretations of the religious text and the prophetic traditions. The second part, “The Socio-political Currents Influencing Violent Extremism,” focuses on the socio-political trends influencing violent extremism, analysing the complexities of the interplaying causes that result in such violence. This part emphasizes the epistemological approaches to Islamist violence and tackles the socio-political aspects in the Muslim world surrounding “development, knowledge and freedom”. A case study on Australian Muslim youth and radicalization is presented. The third part, “Religious Leadership and Violent Extremism,” focuses specifically on refuting ISIS’s narrative and on the role leadership plays in influencing the response to local and global events. In particular, it emphasises the capacity leaders have to promote—as well as prevent—radicalism and violent extremism within their faith communities. This part also presents a few case studies on Turkish political Islam, non-violent activism, and religious rehabilitation programs. The book examines the emerging literature on terrorism and religious ideology and the critical role of holy texts in the world of extremism. It discusses the critical links between religious scripture, Islamic jurisprudence, and the manifestations of Islamic radicalism in the world. The book also looks at the influences and manifestations of what the authors call “unofficial political Islamic law” on Muslims around the globe and the noteworthy impact such interpretations have on Muslims’ radicalisation. Using relevant case studies from contemporary scholars, the authors propose valid theological interrogations and responses to arguments made by the violent extremists. They present the main challenges confronting the study of extremism, where various theories still struggle to come up with a clear analytical understanding. Additionally, the book sheds light on the attractiveness of ISIS’s vision by looking at the main tenets of the terrorist group’s narrative used in its media in multiple languages. Investigating the phenomenon of Islamist violent extremism is not an easy task. To fully understand the terrorists’ motives, we need to employ multi-disciplinary approaches and perspectives. The authors argue that these debates are urgent because of the mediatized violence—from polarizing images of terrorist acts committed by Muslims, notably the atrocities of groups such as ISIS, to the migrant crisis—have caused chaos and a state of insecurity and constant fear, both in the Western world and majority-Muslim countries. Muslim minorities in the West are affected by any debate on terrorism. This is particularly true in relation to the way Islam is being understood and characterised in contemporary public discourse. There is a tendency for them to become a suspected community in their host countries. This is a result of national and international events, as well as the way Islam and Muslims are depicted in Western media. The Muslim question is affecting public discourse and the political landscape in the West, with a notable rise in Islamophobia and anti-Muslim sentiments that has further intensified the religious and cultural divide between Islam and the West. These are important points by the authors. That said, the authors are on less firm ground in appearing to believe that religion is innately good and peaceful, and therefore any interpretations that they judge negatively are labeled as distortions of the faith and in fact not religious. The radical mindset is reduced to material matters like youth disenfranchisement. The reality is that violent Islamists use mainstream Islamic concepts to further their agendas and legitimate their positions. The surrounding context—social, economic, and political—is crucial, but so are the religious beliefs of individuals in those contexts. Taking the Muslimness away from Islamist extremists won’t solve the problem or make them disappear. Religion is neither good nor bad; neither violent nor peaceful. Human interpretation determines a religion’s nature, and context guides this. For example, the presence of verses that are violent and barbaric (if taken literally) in the holy texts is simply undeniable. Yet the vast majority of the world’s 1.5 billion Muslim don’t engage in violence on this basis. In the modern context, most Muslims (at least tacitly) judge these passages inapplicable. Or take the concept of jihad. It can mean a peaceful internal struggle for personal betterment. But it can also mean holy war, and it is often invoked, including by mainstream Muslim scholars, to license a violent response to valid emotional grievances Muslims feel around the world in the face of injustice. The lack of a papacy in Islam makes interpretation a difficult issue; there is no official body to give a final ruling that contextualizes and modernizes holy texts. All attempts by scholars and institutions like Al-Azhar have proven ineffective, especially with Muslim youth, in large part because they are seen as tainted by their close relationships with Middle Eastern dictatorships. The extremists fill this vacuum of spiritual legitimacy, especially in a world where other social, political, economic, and psychological factors are at play. 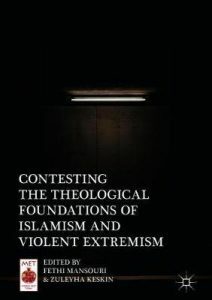 The authors of this collection explore these issues that open the way to extremism, offering epistemological deconstructions and counternarratives to their ideologies—refuting the theological foundations of violent extremism—while providing the reader with an in-depth understandings of certain controversial religious texts that circulate in terrorist spheres. Despite some of the weaknesses outlined above, this volume presents an excellent collection, rebutting the theological basis of radical Islamist groups. It is a valuable reference for journalists, scholars, researchers, and students in political science, Middle Eastern, and Islamic Studies. Tiflati, H. (2016). Western Islamic Schools As Institutions For Preventing Behavioral Radicalization: The Case Of Quebec. Journal for Deradicalization, 6, 180-205. Guhla, J. (2018). Why beliefs always matter, but rarely help us predict jihadist violence. The role of cognitive extremism as a precursor for violent extremism. Journal for Deradicalization, 14, 192-217.